Dufty on the outer at Dragons? In a period of speculation before the Dragons signed Corey Norman and Gareth Widdop announced his 2020 departure to England, Matt Dufty is reported to have said in November that the Dragons’ staff had assured him he had the fullback spot locked down for the 2019 season. Those assurances now appear to have been premature at best and Dufty’s current position at the Dragons remains unclear. In 2018 Dufty’s speed in attack from fullback earned him a permanent position in the starting team in the season apart from one bench start in Round 24. With 26 appearances in all, injuries appeared to elude him and his attacking statistics were good, scoring 13 tries with nine line breaks and 16 tackle breaks. Defence, however, is perceived by many as not being his forte and statistics this regard do not lie with only 109 tackles and vitally 39 missed tackles with a tackle efficiency of only 70.3%. 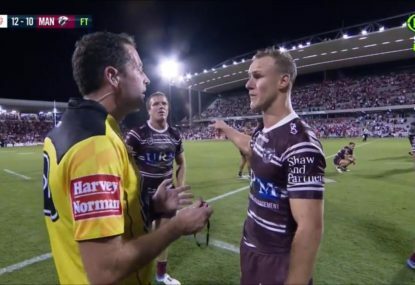 Dufty is signed with the Dragons until the end of 2019, but it is believed to not be a big-money contract and already the Cowboys and Sharks are rumoured to be interested in his services in 2019. The Dragons have been trying to get him to sign an extension of his contract until the end of 2021 as they see him as a long-term player, but Dufty has yet to commit and other clubs are still circling. At this stage with 5/8 Widdop likely to move to fullback and Corey Norman the likely new 5/8, Dufty is left with no assurances that he will be playing NRL on a regular basis in 2019. 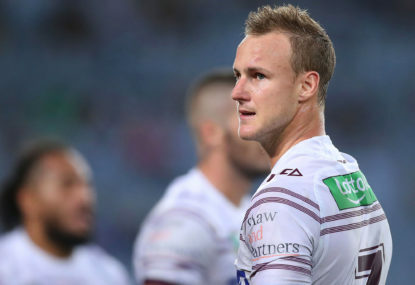 Barring injury the only starting position likely to be available is on the wing, and if not that then Dufty may be considered as a bench back or he is back in ISP. 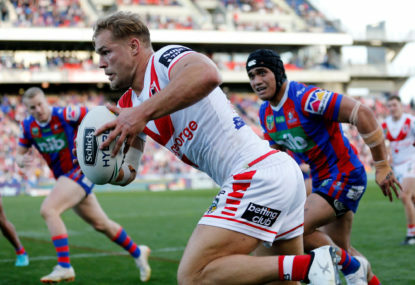 Dufty is believed to be unhappy with the options available to him and given past assurances which have proven false is believed unlikely to commit to a long-term contract with the Dragons at this stage. With the trial matches fast approaching, and no announcement from coach Paul McGregor as to Dufty’s position there is a possibility that Dufty may sign a post-2019 deal with another club and then hope for an early release from his Dragons contract. Personally, I cannot see Dufty simply spending the year in ISP in the hope or even on any assurances that the Dragons’ fullback position is his after Widdop’s departure in 2020. 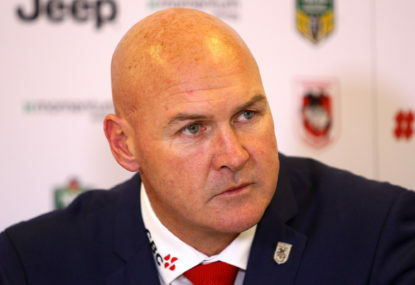 This leaves Dragons coach Paul McGregor with either having to find Dufty an acceptable NRL position or it may be a case of the old saying that you cannot make a cake without breaking a few eggs, with Dufty being one of those eggs.